When sweet cherries, creamy coconut billows, and sparkling soda come together, you can’t help but have a good time. It’s not hard to imagine yourself stepping up to an old-time soda fountain as you sip a nostalgic glass of Cherry Coconut Cream Soda. 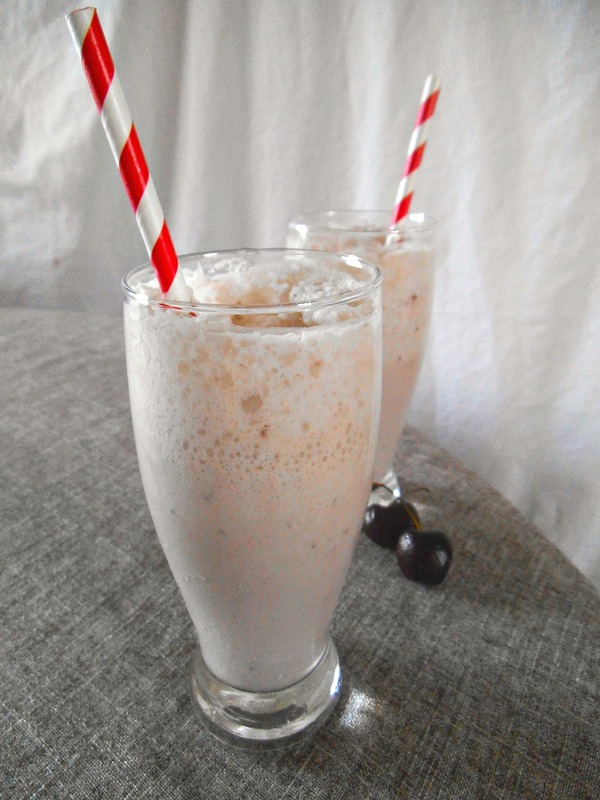 The blend of cherries and coconut cream, with a bit of frozen banana and almond extract, can stand on its own as a frosty smoothie, but adding soda water lifts the taste experience to an airy celebration. 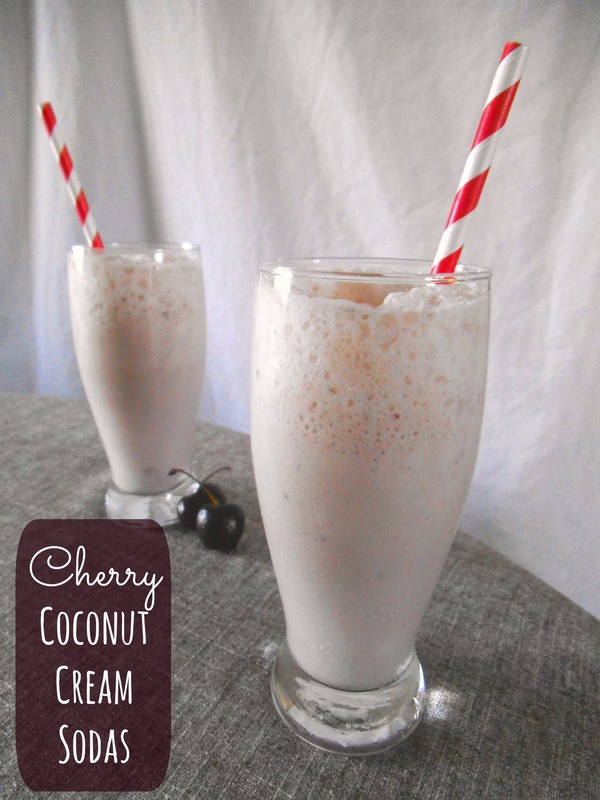 In a blender, combine coconut milk, cherries, and frozen banana. Process until smooth, adding sweetener to taste. Pour blended fruit into chilled glasses, filling them halfway. Pour soda over fruit blend. Serve cold. Makes 2 large or 4 medium servings. Weekend Whole Food Blender Party, and here. This looks and sounds amazing! I definitely want to try it soon. Thanks so much for sharing at our Weekend Potluck table. Please come back again soon. And this is getting pinned to try too! Now I just need cherries to go on sale. Frozen cherries work too! Enjoy!